Maximizing function, reducing investment costs, helping the environment and improving quality of life. 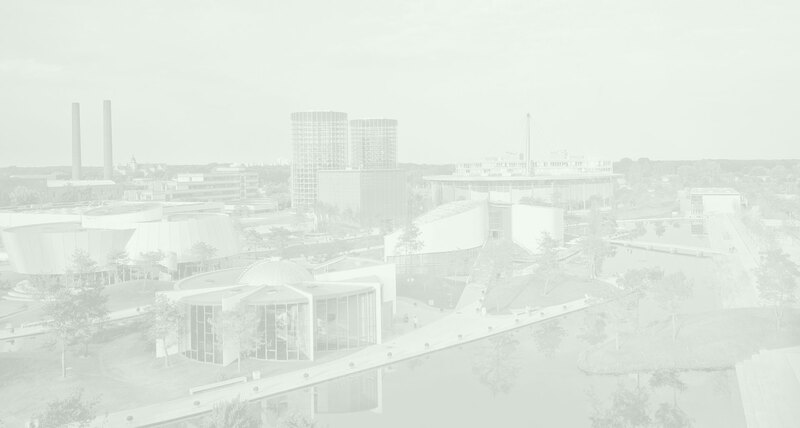 We believe in a better quality of life through the use of state of the art and environmentally sensible technologies that promote social innovation. 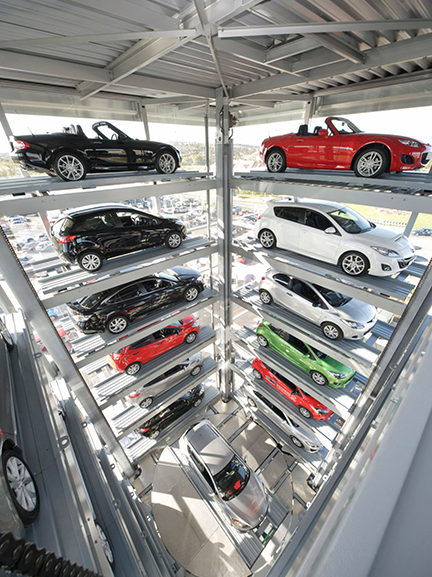 The use of mechanical, automated and robotic vehicle storage systems is commonplace in Europe and Asia; in other markets however, is just beginning to bud, opening a wealth of opportunities for companies looking to provide investors and public and private clients with a reliable, sustainable and relevant solution that will change the concept of vehicle storage in urban and metropolitan areas. 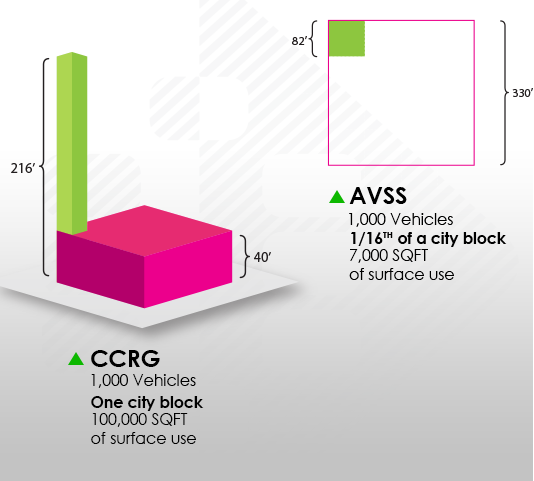 Mechanical, Automated and Robotic Vehicle Storage Systems (known as AVSS) provide a substantial reduction in toxic emissions when compared to Conventional Concrete Ramp Garages (CCRGs); they also provide a quick and efficient way to park and retrieve vehicles minimizing city center congestion, air pollution and fuel consumption. AVSS can deliver a commissioned project within 90 days and are designed to withstand seismic activity ensuring a safe and secure facility for vehicles and their users. A fully automated vehicle storage system is operational twenty-four hours a day without the need of staff. “Studies performed by the EPA show that vehicle storage system with the equivalent capacity of a 500 car garage will save over 6,000 gallons of gasoline per year”. Minimal illumination requirements provide significant savings in energy consumption. The following systems may be implemented as a contingency in case of a power outage. AVS systems have been designed with special drip trays underneath each vehicle, capable of catching any damaging fluids that may fall from the vehicle stored directly above (such as coolant or oil based lubricants). This ensures that waste products are disposed of in an acceptable manner and protect the integrity of the vehicles stored below. AVSS use a significantly smaller footprint than conventional vehicle storage solutions such as Conventional Concrete Ramp Garages - CCRG. Depending on configuration, less than 50% of land is required compared to a CCRG, thus significantly reducing the cost of real estate acquisition or maximizing usage and profitability of the available real estate. When space is at a premium, AVSS is the most cost-effective (and in some cases the only) solution to provide vehicle storage services in high density areas with high demand and limited offer and/or land availability. This also has a direct relationship with underground parking where excavation requirements can be substantially reduced thus limiting the amount of soil to be removed and disposed. AVSS is 100% aligned and particularly relevant in areas where an “Infill Approach” is the most suitable (if not the only) answer. The infill approach is an urban planning concept and refers to the rededication of available land or to the construction of undeveloped land within the urban area. Infill also refers to land usage within a high density and built-up area, particularly for community redevelopment, growth management or smart growth projects. 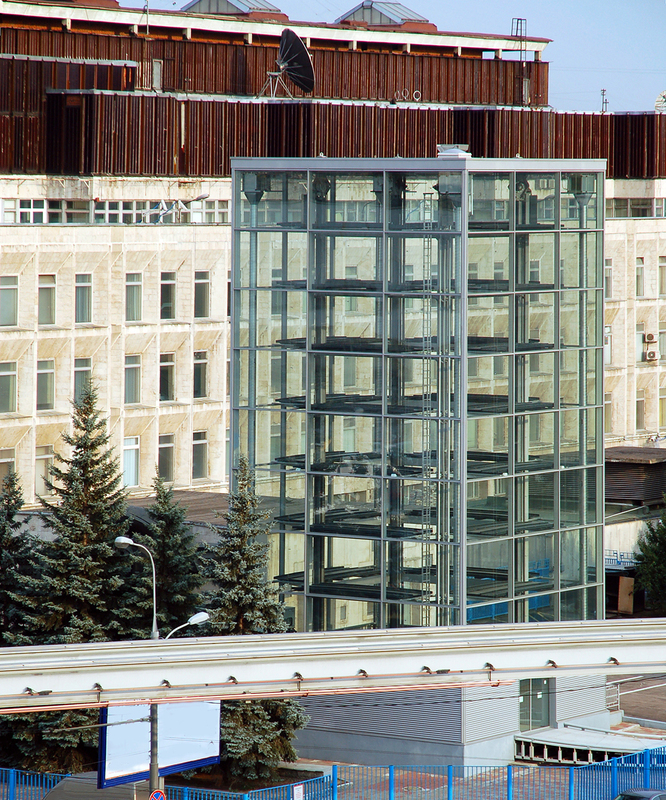 The Infill Approach aims to maximize the use of obsolete, wasted or underutilized buildings and sites within the urban area subject to development or revitalization. AVS Systems allow for significant cost reduction in acquisition, construction, operation and building time.